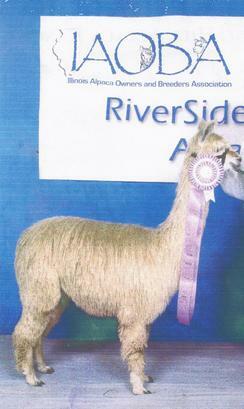 Peruvian Mahogany Prince sired 100% Suris 96% having color. Produced multiple show winning animals. She’s a beautiful girl. Her fleece flows with every step. She has huge black eyes. 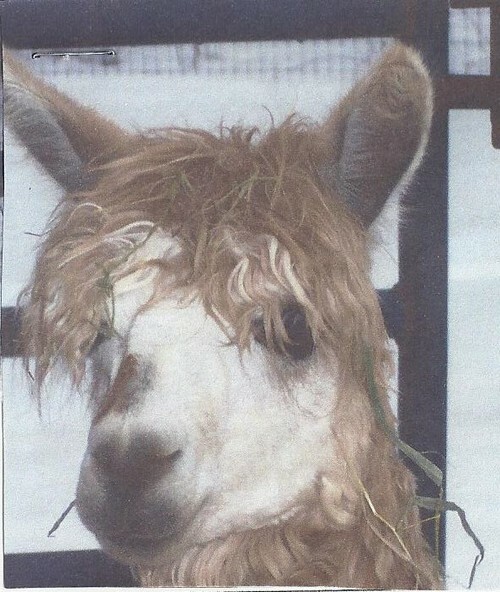 Her fleece is very dense and fine with extreme luster. Extremely attentive mom. 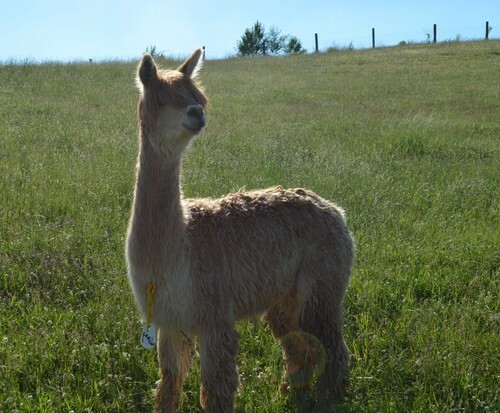 CARMELLO is the product of some of the best Peruvian Suri genetics in the industry. She is sired by the amazing PVA MAHOGANY PRINCE. Prince has produced over 81 award winning offspring. On her mother’s side is grandfather 6PERUVIAN PASEO ROJO. Of his 275 descendents, 236 are colored. This show winning female has wonderful bone structure and great coverage on a very tall, straight frame. She has a very typey Suri head and a pretty face. 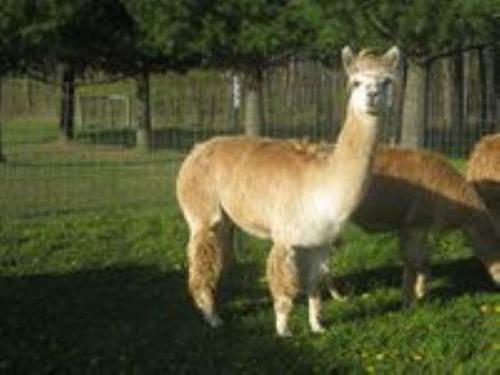 She has a white face and a very fine fawn fleece with an excellent handle and luster. She is BVD-negative and microchipped. 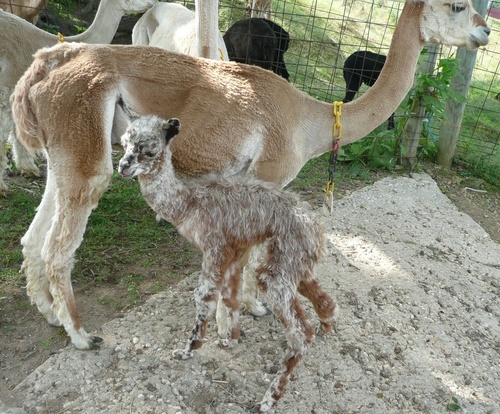 Princess Carmello birthed a beautiful spotted female cria on June 22, 2014 from HALF ACCOYO Double H Static. 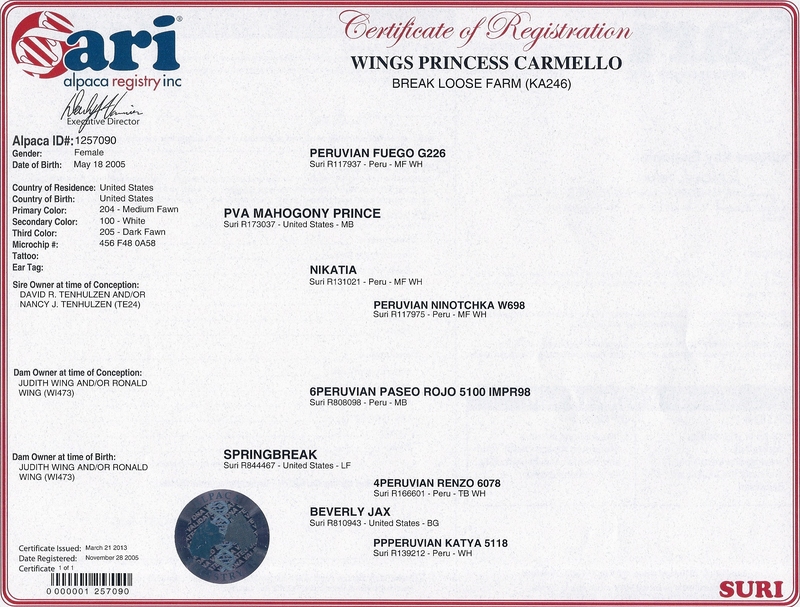 Carmello will make an awesome foundation female for any serious Suri breeder. She has an incredible pedigree, being sired by the one and only MAHOGANY PRINCE. 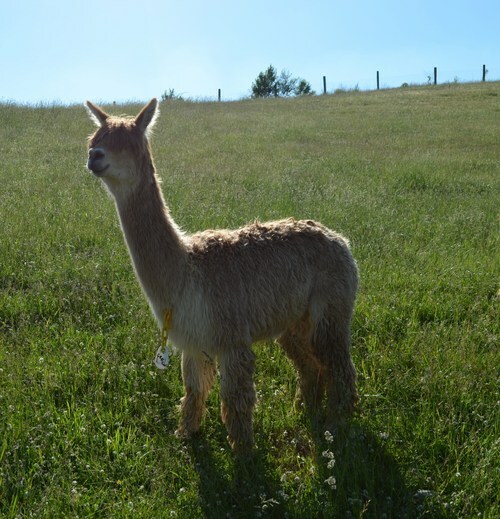 Her full Peruvian dam, Springbreak, is a daughter of 6PERUVIAN PASEO ROJO and grand-daughter of the fine fleeced PPPERUVIAN KATYA. What outstanding grand-parents !!! !